Student Life creates an inclusive, engaging, and supportive university experience that fosters each student’s academic, personal and professional success. 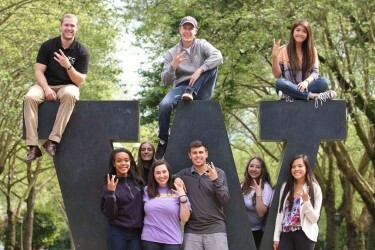 The Division of Student Life at the University of Washington serves as a hub for a variety of programs, services, facilities and operations that are all designed to enrich the Husky Experience. 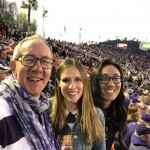 To ensure a leading-edge student experience, we are committed to providing limitless opportunities for students to make the most of their time at the UW, by supporting their intellectual, physical and emotional development. As a division, we understand that student success is not solely defined by academic achievement. Through clubs and activities, leadership and service, and a dedicated network of mentors, students at the UW grow as individuals, embrace diversity and learn to engage in their communities. 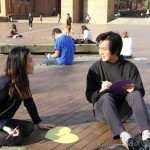 The student union at the Seattle campus of the UW welcomes more than two million students, faculty, staff, alumni and guests each year. It also hosts events and houses the programs and services of student government, the Student Activities Office, and a wide variety of dining, meeting and conference spaces. Founded by student veterans, Student Veteran Life provides programs, services, and community for student veterans and active duty service members attending the University. Denzil Suite provides leadership for a wide-range of programs and services that support students in their transition to the university and deepen their out-of-class experiences. 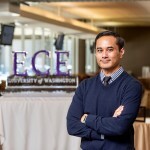 These areas include: Housing & Food Services, The HUB, Q Center, Student Publications, UW Recreation, The Counseling Center, Disability Resources for Students, Career & Internship Center, Office of Ceremonies, Office of Fraternity & Sorority Life, Community Standards & Student Conduct, Student Veteran Life, Health & Wellness, Parent & Family Programs and the University of Washington Police Department.